An estimated one million devotees participated in the annual procession of the Black Nazarene in Manila on Friday . Meanwhile , a man were killed after a heart attack while fulfilling his devotion to the alleged miraculous image . On the initial reports from the National Disaster Risk Reduction Management Council , there are 84 devotees were treated at the Quirino Grandstand from various health conditions such as hypertension and wounds . On the other hand a Devotees were killed Renato Gurion , 44 , after a heart attack during the Black Nazarene procession.
" The cause of death was a heart attack him , he was not crushed or caught base on initial reports. said by Johnny Yu , head of the City Disaster Risk Reduction Management Council . 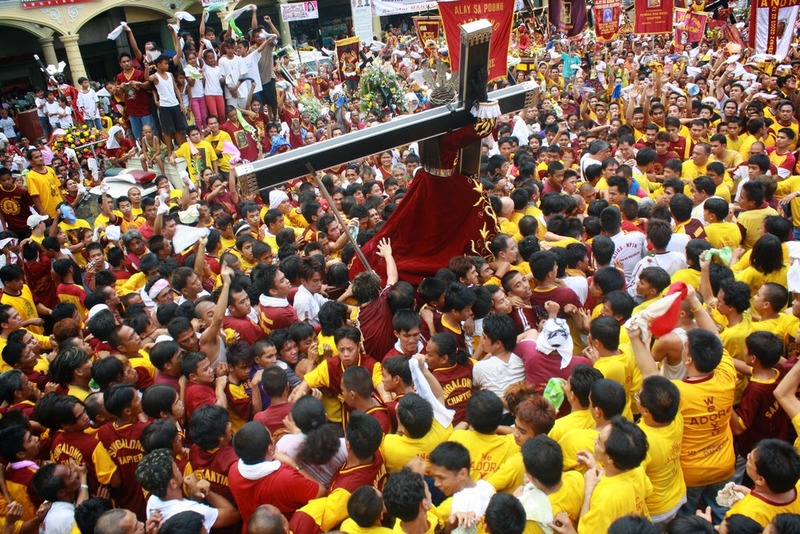 Gurion, includes in Hijos del Nazareno which is in the float of the Black Nazarene. People who exploit abuses are also present during the traslacion . But one thief was mistakenly tried to pickpocket a victim who was eventually a police chief Senior Inspector John Glenn Siguan part of the Quirino Grandstand . According to Siguan , he was assisting the crowd control when he felt someone's hand on his back pocket .
" As we drive to maneuver the ( carriage ) overcrowded in rush ... I felt something . I held his hand and caught it, " he shared on dzBB . "I dropped his hand , ( lavish ) in the pocket of my pants , " police added . However, the suspect denied the allegations, and anonymous devotee and he was 17 - years old. Meanwhile , a lady to whom she wished to the Nazarene her birthday wish to meet his lost son in traslacion . According to Erlinda Dizon , 67 , a resident of Barangay Manggahan Pasig City, five months after losing his 39 - year-old son Alexander. A miracle was happen as Mrs . Dizon seen his lost son with men at the corner of Roxas Boulevard and Burgos Street . No Comment to " Millions Of Devotees Swamp In The Procession Of The Black Nazarene "